happy MARCH! wait a second, how is it march already? didn't we just celebrate the new year? i originally had this post schedueled for the last day of february to kick off a certain green holiday in march, but then i realized there is no february 30th this year, or ever (LOL fail, huge fail). oh well, who is ready for saint patrick's day! i usually put green food colouring in anything i can possibly think of, but what about a more natural green route this year. matcha powder! 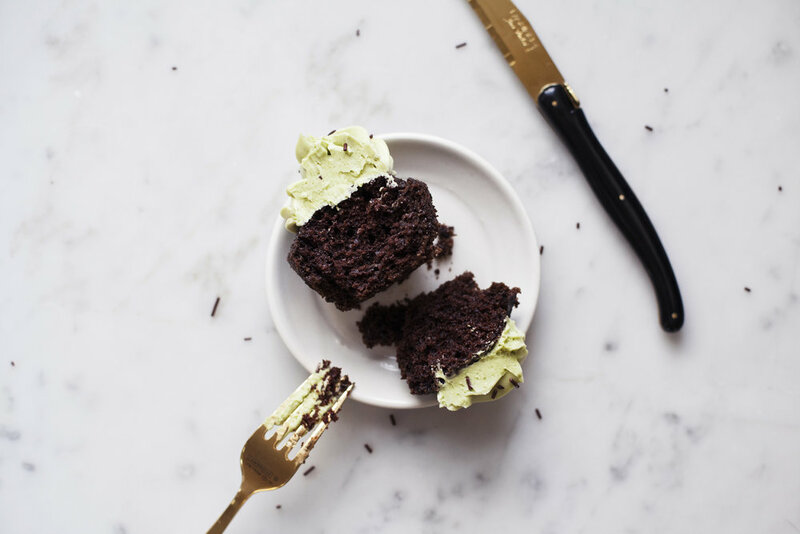 i used aiya matcha's cooking grade matcha powder in both the chocolate cake portion & buttercream frosting. it is a special blend that doesn't lose its flavour when mixed with other ingredients. to give it a fun, festive, twist i did a two tone frosting of half vanilla buttercream & half matcha buttercream. how pretty do they look? 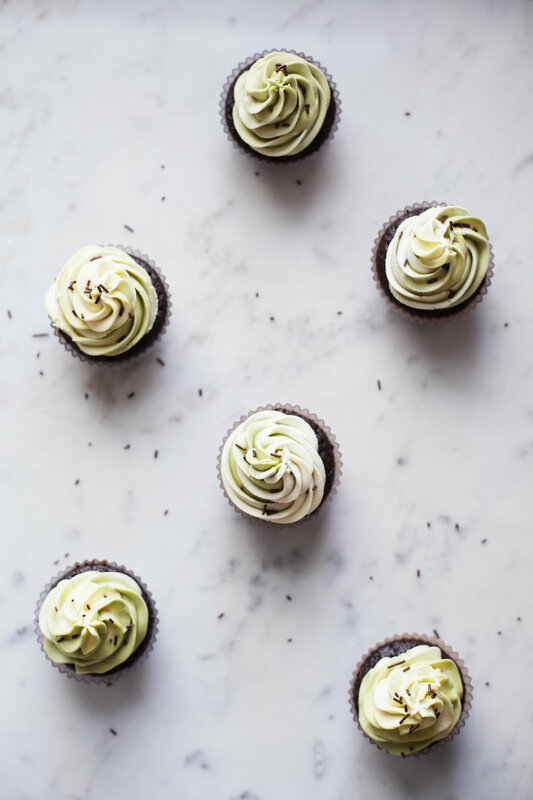 i had several taste testers devour these cupcakes & they all agreed it was the perfect amount of matcha to chocolate flavour. in a large mixing bowl add the raw sugar, oil, vanilla, cocoa powder, matcha powder, egg & sour cream. beat until well combined. sift in the flour, baking soda & salt until well combined. slowly pour in the boiling water until silkly smooth. divide evenly between 12 lined cupcake tins & bake for 15-18 minutes. let cool while you make the frosting. in the bowl of a stand mixer fitted with the paddle attachment add the butter, sugar, vanilla & sea salt. beat until light & fluffy, about 8 minutes. 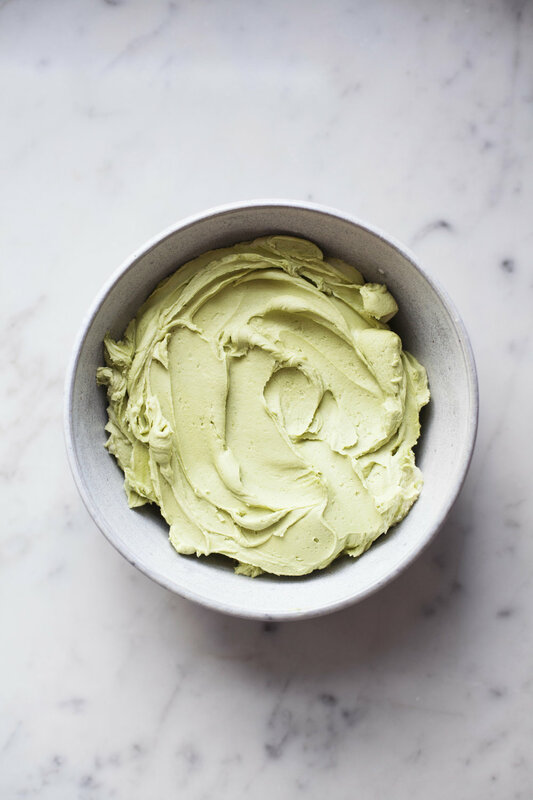 divide frosting between two bowls & add the matcha powder to half. 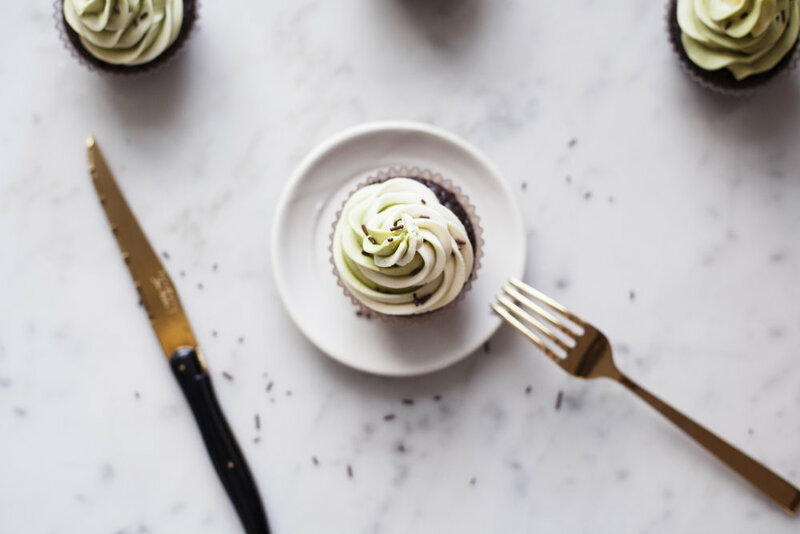 stir until the frosting is a smooth green colour. 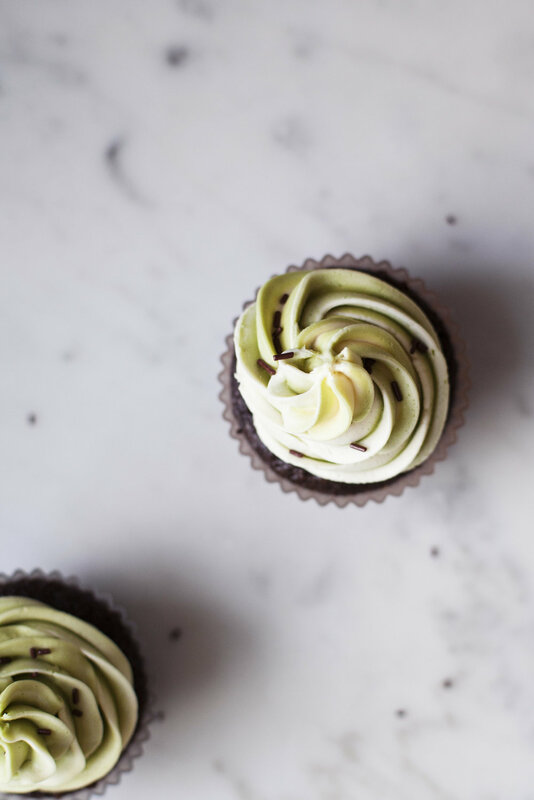 in a piping bag alternate between adding a heaping spoon full of vanilla buttercream & matcha buttercream. pipe as desired & top with chocolate sprinkles!